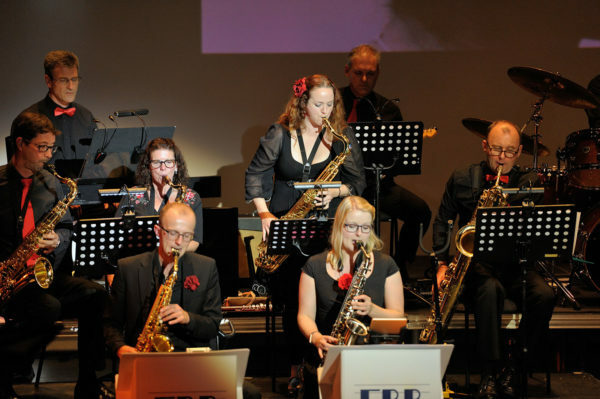 A sensational night of swing, singers and songs performed by The Ember Big Band has raised an amazing £10,709 in aid of children’s hospice charity Shooting Star Chase. 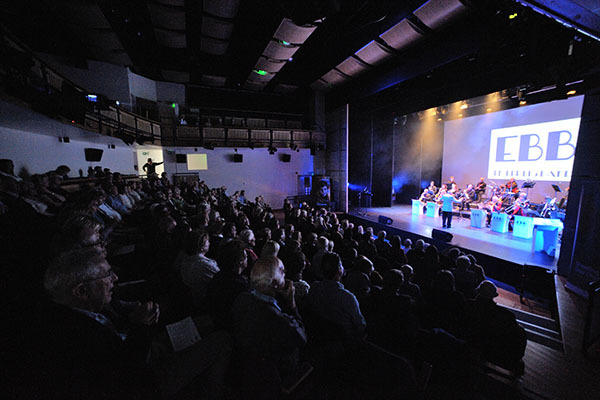 The special charity concert was held at The Hammond Theatre in Hampton, part of Hampton’s Boys School, who are loyal supporters of the charity and kindly donated the use of the venue for free. 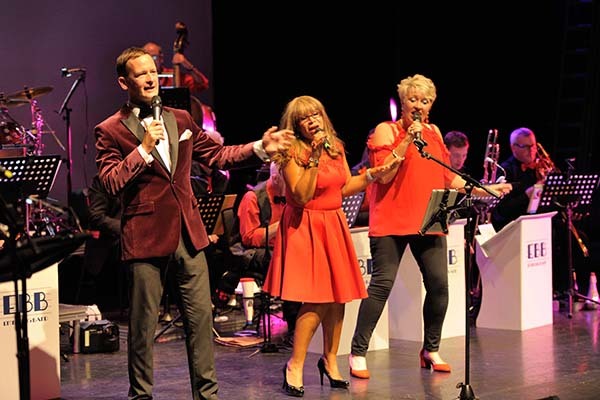 The band, comprising 20 musicians, plus three talented singers, played a variety of songs from Glenn Miller Tribute, Frank Sinatra classics and top tunes from films including Singin’ in the Rain, Skyfall and Chicago – which were so enjoyed by the audience they were dancing in the aisles! 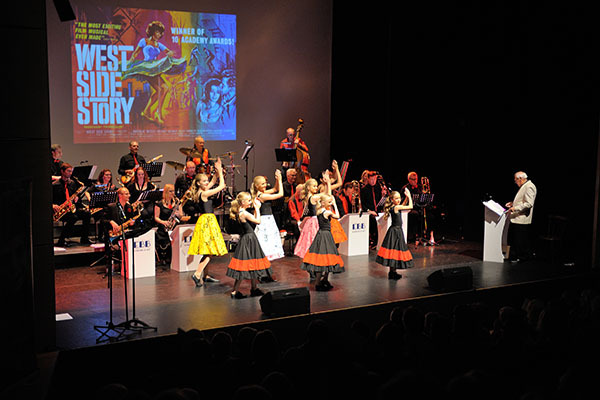 There were also dancers on stage, as the band were joined by some talented movers from Chadsworth Stage School who danced to some big numbers including Boogie Woogie Bugle Boy and West Side Story. A bucket collection was held on the night which raised an astounding £1200 in just 15 minutes! As well as this, The Hammond Theatre also kindly donated the bar profits of £850. 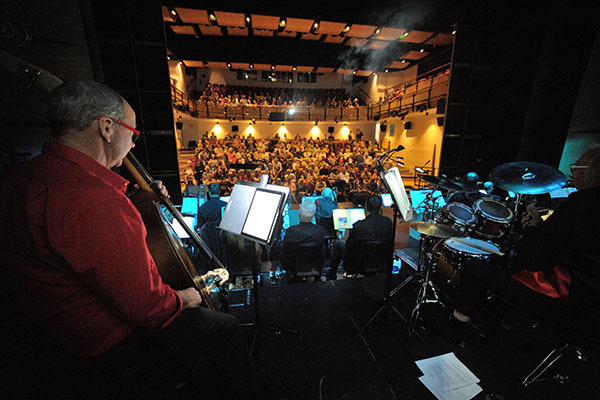 Fantastic photos captured by Roy Morris. To find out more about who our fabulous fundraisers are helping to support click here.